Sightseeing in Paris has a new pace, thanks to technology and the widespread passion for running. Link up with groups or search out routes on websites Map My Run, Walk Jog Run, Run Keeper, or Run Map. Run the Planet and Running Routes also provide routes with commentary on directions and scenery. 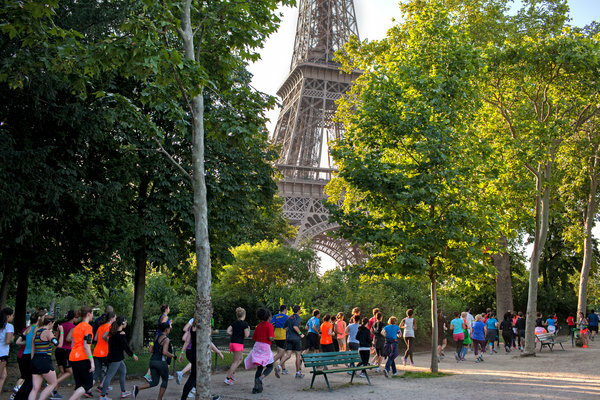 Nike Running France offers twilight runs past major landmarks with the guidance of certified coaches. You sign up for the event on Facebook, and meet at the flagship Nike store on the Champs-Élysées. Paris is fast developing a reputation as a runner’s paradise. Registration numbers for the race series Paris Running Tour are on the increase. Their routes showcase distinct neighborhoods and spectacular parks. Timekeeping site Top Chrono has partnered with the city to erect digital panels in various parks allowing runners equipped with personalized chips to see their progress displayed in real time. New Yorkers love the High Line, the elevated park built on an old freight rail line on Manhattan’s Far West Side. 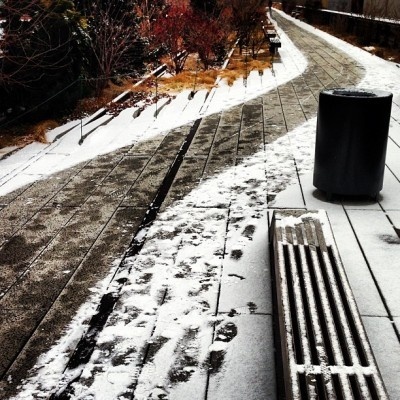 But last winter, the High Line was a chilly place to be on a Friday afternoon when the walkway was swept by wintry gusts. Still, an intrepid group of people showed up to take part in “The Gaits,” a kind of environmental piece created by three composers, Lainie Fefferman, Jascha Narveson and Cameron Britt, along with Daniel Iglesia, who creates music and sound installations in which people and computers interact. What they created here, as part of Make Music Winter, was a free iPhone app. Participants were given small sets of speakers that could be attached to their coats or backpacks, or held by hand. As they began the walk at the southern end of the High Line, near Gansevoort Street, their every footstep or hand twist kicked the app into action, and they heard various sounds — clinking, chimes, splashing water, car horns, chords on electric guitar and, in a novel touch, occasional rounds of applause. At the end, as everyone gathered, “The Gaits” culminated in a sustained, shimmering chord, before individual apps wound down, the sounds disintegrated, and everyone headed off to find a place to warm up and maybe have some coffee. Falling is the leading cause of death by injury in those aged 65 and older. A non-invasive technology is available to accurately detect falls in a home. Its developers’ goal is to distinguish real incidents from false alarms, differentiating a heart attack collapse from a pet jumping off a chair. They use radar technology from police speed-traps and weather forecasting, plus 3-D sensors from games like Xbox. 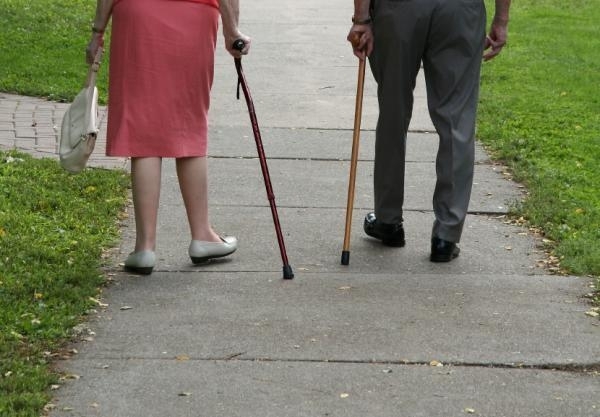 Gait and fall patterns of the elderly are the basis for the design of the monitoring devices. Researchers taught young, healthy people to observe elderly people. Then they learned how to walk without picking up their feet and to fall like seniors. Also, in an eldercare residence, researchers used radar and 3-D sensors to measure speed, stride time and stride length. With this information, they calculated the risk of falling for people with slow movement and inconsistent strides. Researchers also hope that balance or strength training can help prevent serious falls. 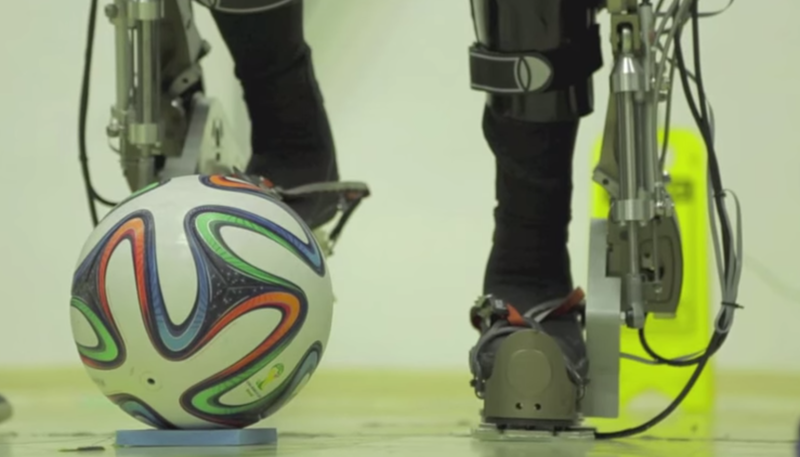 A 29-year-old paraplegic literally kicked off soccer’s World Cup competition in Brazil this summer, using a mind-controlled exoskeleton that looks as if it came from the “Iron Man” movies. The organizers of the international Walk Again Project said the symbolic soccer-ball kick was performed during the World Cup’s opening ceremonies in São Paulo’s Corinthians Arena by Juliano Pinto. He’s an athlete from Galea in Brazil’s São Paulo State who lost the use of his legs after a car accident in 2006. The Project’s long-term aim is to bring together neuroscience, engineering and medicine to build brain-controlled devices so that paralysed people will be able to leave their wheelchairs and literally walk again. In deference to Ivy Johnson’s wit, writing skills and truth-telling, I am quoting a large part of her essay. I have highlighted my favourite parts. Sole Connections: As an aspiring artist, I’ve found shining shoes is a better apprenticeship than my all my internships and contracts put together. “It’s harder out there for young people today than it was for me,” he says as I wash his Prada loafers. I can hear it in his tone: I’m about to get another condescending lesson in success from a stockbroker in dirty shoes. Not the kind of tip I’m looking for. If art is about making meaningful connections with strangers, then a day at the shoeshine is an opus in itself. A shine can take five to 10 minutes, depending on the condition of the shoe and its style. 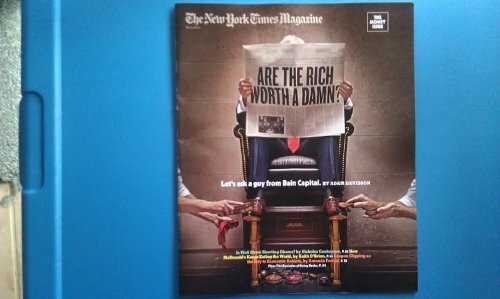 That’s not a lot of time to bridge the vast chasm between me, a woman in my 20s making little money, and the well-heeled, middle-aged man in the chair. There are moments when their perspectives are entirely alien to me, and I know that sometimes when I talk about my life and ambitions I might as well be speaking Greek. But I persevere. It’s educational. I’ve learned a lot about conversation at this job. I’ve certainly learned the art of talking about the weather. I used to view that as topical desperation, but I finally get why eight out of 10 customers prefer to talk weather while I burnish their wingtips. It’s not that there’s anything particularly pressing to say on the topic; it’s just the quickest route to connection. If we share nothing else, we can both understand the corrosive effects of Toronto slush on both leather and mood. Just as often, though, we go well beyond the weather. Most of my customers I will never see again; we don’t run in the same circles. And maybe because of that, our talks are surprisingly intimate. I’ve been privy to conjugal dramas, deep phobias, philosophical revelations and any number of small confidences. I, likewise, have shared stories with some customers that I wouldn’t tell to my friends. These conversations can lead to surprising moments of clarity, an understanding that we’re more similar than not. For an electric moment, that gap between Porsche and Schwinn, steak frites and Mr. Noodles, him and me, is gone. Of course, I don’t always feel like whistling a merry tune and dancing some soft-shoe. There are customers who call their wives to say they are working late, then ask you if you’re free for dinner; there are customers who snap at you, clap at you, don’t tip you, and there are customers who kindly try to help you figure out just what went wrong in your life to land you here at their feet. But it’s all worth it. Because sometimes, in that space of five to 10 minutes, we manage to transcend all the countless superficial differences that make us feel as if we belong to two different species. After a shine like that, we see the deeper thing: He’s human, I’m human. It’s a work of art, really. The tip is just gravy. As a traditional sign of optimism, Finance Ministers in Canada buy new shoes on budget-presentation day. In recessionary times, the symbolism of opting to shine or repair their shoes sends a message of frugality from on high. For example, Alberta Finance Minister Doug Horner underlined his austerity budget by shining up a two-year-old pair. And, former federal Finance Minister Jim Flaherty unveiled a thrifty budget in re-soled brogues. The stewards of our taxes wear big shoes and wield their metaphors well.